Balaam could not receive his payment by cursing Israel, but he did do his research and discovered that though Israel had not been cursed by God, they had certainly had their fair share of difficulties including being sentenced to forty years of wandering in the wilderness and among plagues, fires and death they had most recently been attacked by poisonous serpents. Balaam discovered that even though God would not curse the Israelites he would strike them in punishment for sinning against him. The way for Balaam to recover his lost financial compensation was to cause Israel to sin. Upon Balaam’s advice King Balak sent his Moabite women down among the Israelite men to entice them to engage in immorality and to sacrifice to the Moabite god, the Baal of Peor. As a result the Lord literally commands Moses to “take the leaders of the people and impale them to Yahweh before the sun.” Impaling would be execution by being pierced through with a pole and then suspended on that pole for everyone to see and for the Lord’s judgment to be evident. After the Israelite leaders who allowed this immorality to occur where executed and exposed on a pole, then all the people who “yoked themselves to the Baal of Peor” were killed. This is the first mention of the god Baal in the Old Testament. Israel would struggle for the next 900 years with their attraction to Baal worship. 9 out of 10 Americans who identify with a religion are Christian (2007). Analogia (Gr) – Proportion (Eng) – analogia is a Greek word that means the right relation, result or coincidences in a relationship between two things or facts. Analogia is used by Paul in Romans 12:6 to say that our gifts and faith must be proportion to what God is doing or has given us. We cannot go beyond what he has done without being out of balance. Several samples of the Persian coin from before 333 BC with the inscription YHD, or the Persian name for the province of Judah, have been found. 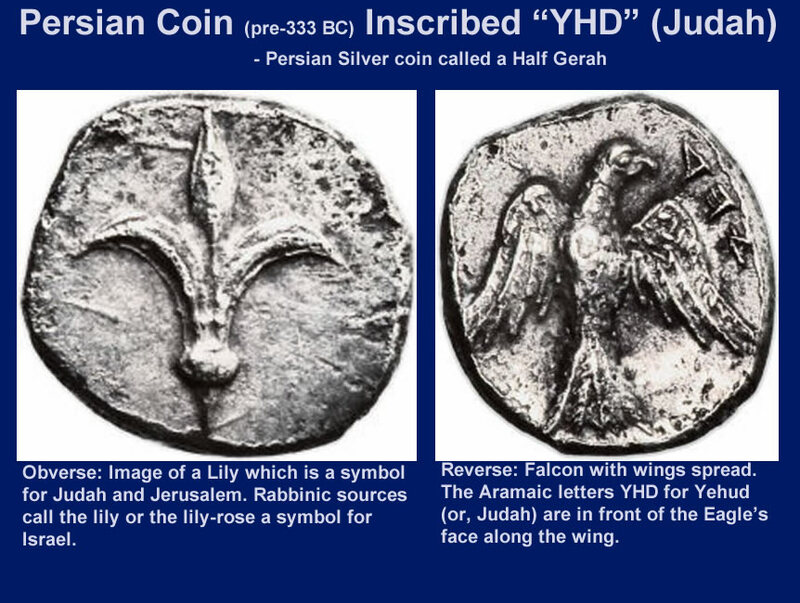 The coin is a silver half gerah with a lily, a symbol of Jerusalem, on the obverse and a falcon (or, an eagle) with the Aramaic letters YHD for Yehud, or Judah, on the reverse. There is always punishment for sin. Paul warns us in Galatians 6:7, "Do not be deceived: God cannot be mocked. A man reaps what he sows." Even though I am saved and blessed with all the spiritual blessings in Christ (Eph. 3:1), yet I will live righteously and avoid sin so that I do not come under the Lord's punishment (1 Cor. 11:31-32). the unplowed field of the wicked—produce sin." 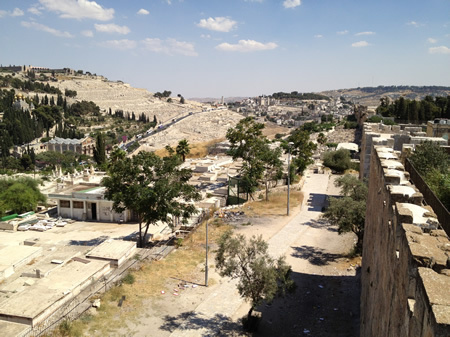 Standing on the East wall of the city of Jerusalem looking south. 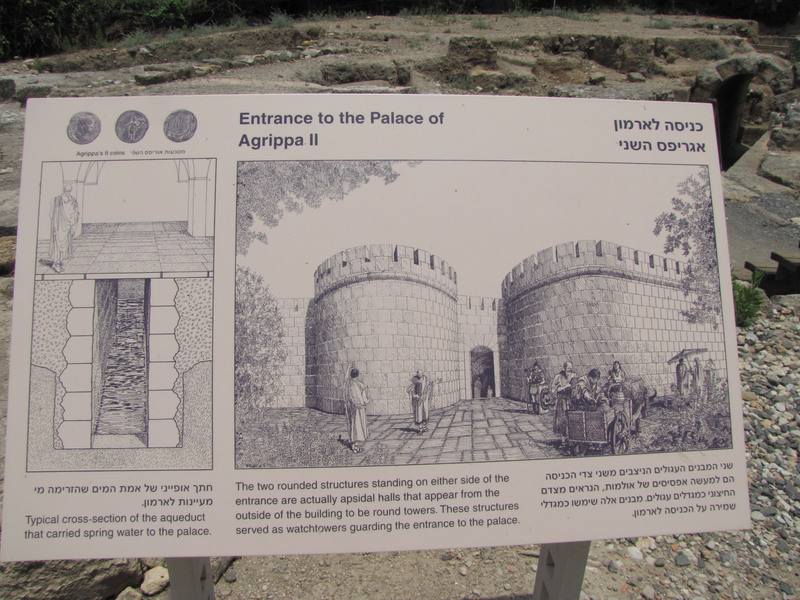 The Lions' Gate is just a few feet in front and the Eastern Gate is further down the wall. The Kidron Valley and the Mount of Olives are to the left (east).